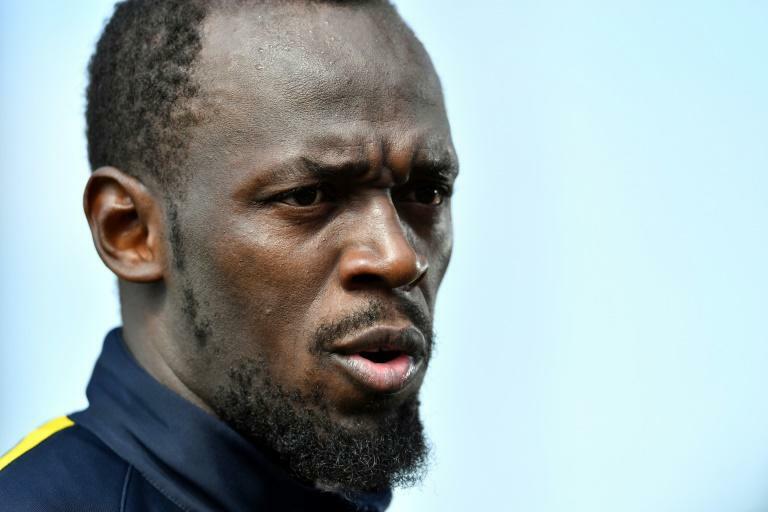 Usain Bolt is set to get a first taste of competitive football on Friday in a much-hyped game, but the sprint superstar admits he is nervous with his fitness levels not up to scratch. The Jamaican is likely to be handed a 10 or 15 minute run-out for Australia's Central Coast Mariners in a friendly against an amateur side as he works towards his dream of earning a playing contract and becoming a professional footballer. Such is the buzz swirling around the match that it will be broadcast live on pay TV and 10,000 fans are expected to cram into the Central Coast Stadium for what is normally a low-key pre-season fixture. 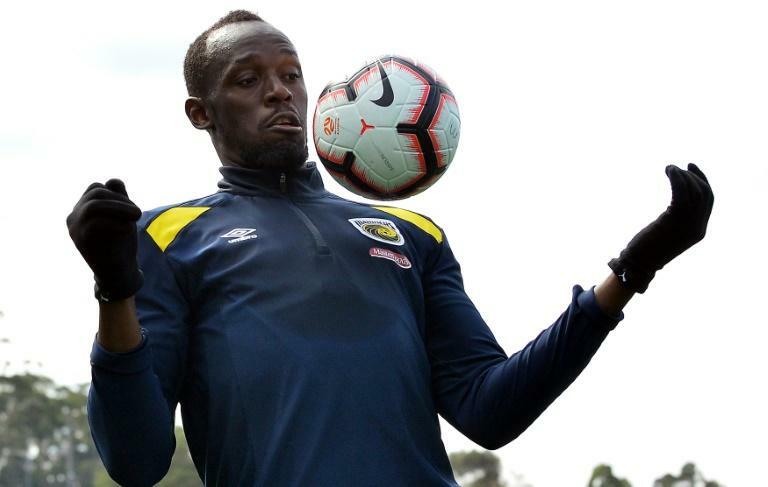 The club, which finished bottom of the domestic A-League last season, is planning fireworks and other entertainment to keep fans amused until Bolt makes his entrance. All eyes will be on the eight-time Olympic champion with a local paper planning to distribute 100,000 cardboard cut-out face masks of the 32-year-old for onlookers to wear. "I think that will be a bit weird, but not too weird," Bolt, who favours playing left wing, joked of the masks. "I've seen a little bit of that in track and field. But it will be something new to play the first game and see that." Bolt dominated sprinting after taking double individual gold at the Beijing Olympics in 2008 and he remains the world record holder for the 100 metres. He went on to win a further six Olympic golds and pick up 11 world titles before retiring last year and pursuing his passion for football. Despite being used to running in front of 100,000 spectators and millions of TV viewers, the nerves are jangling as he enters a new phase in his career, having tried out with several other clubs around the world to no avail. "There will be nerves, definitely. It's not like a charity game anymore, this is a career I'm pursuing," said Bolt. "I expect to make mistakes, but I also expect to go in, make myself proud and push myself." His football dream is still a work in progress, with Bolt admitting this week to struggling with the constant stop-start of the sport, unlike his usual quick fire sprint on the athletics track. "He doesn't have football fitness, which is natural. We have not brought him in and said you have to do this and do that by this time," said Mariners coach Mike Mulvey, who has given Bolt an indefinite time to prove himself. "For this Friday, it comes down to what the fitness coaches tell me with regards to how his body's coping with the loading we've got at the moment. "But I would imagine he’s going to be playing some part on Friday." Mariners head of performance Andrew Young was blunt in his assessment: "As of right now, Usain's not in the type of condition required to play A-League," he told Sydney's Daily Telegraph. "We have to work on his aerobic capacity and he knows that." The Mariners kick off their A-League season away to Brisbane Roar on October 21. 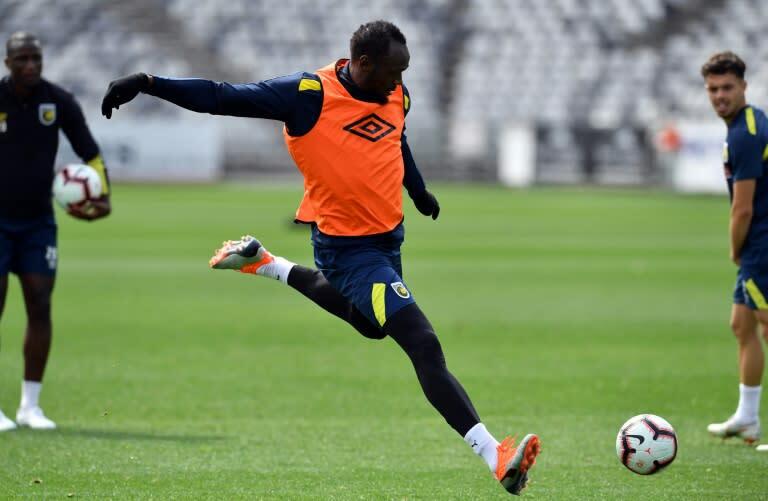 Despite Bolt being likely to spend most of Friday's game on the bench, his presence at the club's base in Gosford, 75 kilometres (47 miles) north of Sydney, has generated global excitement and Mulvey is lapping it up. "What the lads in the office are telling me, there could be 10,000-12,000 people here, that's quite unbelievable for a pre-season game. But I welcome it because it puts us under a little bit of a spotlight," he said. While Bolt is used to the trappings of fame and fortune, he is determined to be just "one of the boys" in his new life around the Gosford area, a popular weekend getaway from Sydney with magnificent national parks and sandy beaches. The bright lights of Sydney are not far away, but he has no plans to be out partying. "I do want to enjoy the city and the life but I'm still going to remember that I'm a professional footballer now so I have to respect the coach and what rules the Mariners put down," he said.